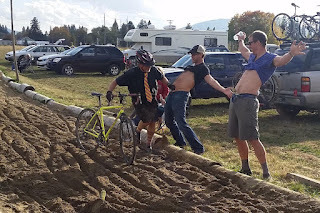 John came over from Tacoma for two days of cyclocross racing at Crosstoberfest 5 in Sandpoint. 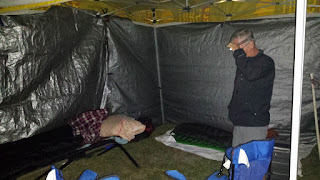 He brought a couple of push up canopies that we planned to sleep under since we could camp at the race site. 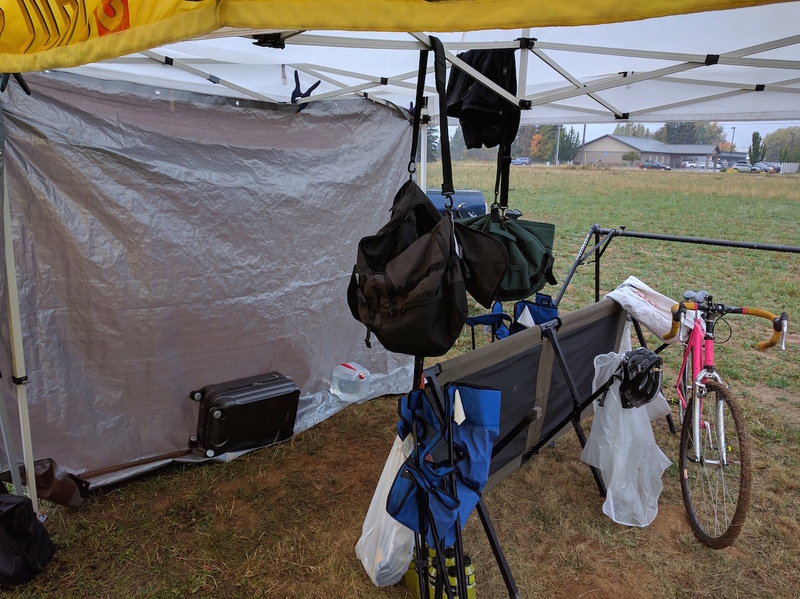 Thunderstorms and rain moved in Friday night and gave us a good drenching. The yellow canopy leaked at the seams. After enough water torture I got into the truck a little before midnight. 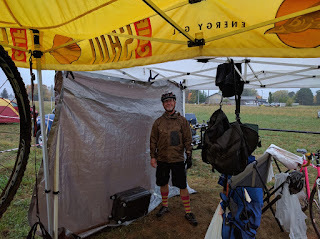 I didn't sleep much better there but I was dry. 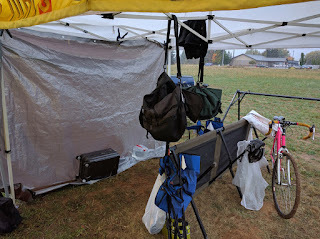 Some time later, I guess John moved things around and used the bikes as weight to hold the canopies in place. The rain continued in the morning. The juniors were the first to race. 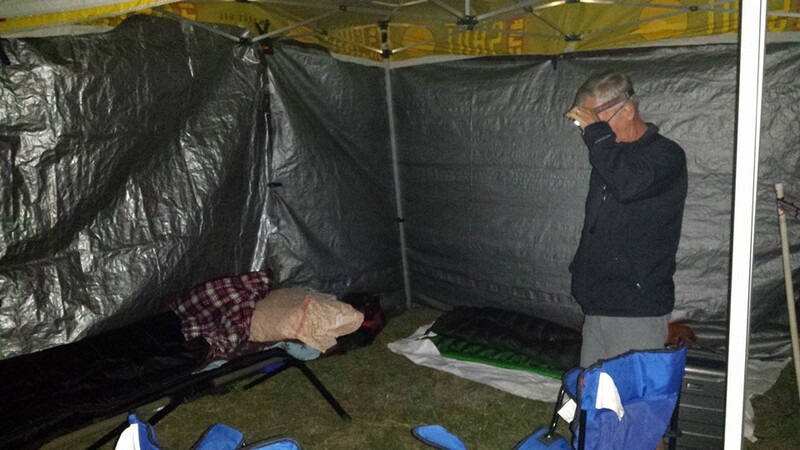 The poor kids were miserable. 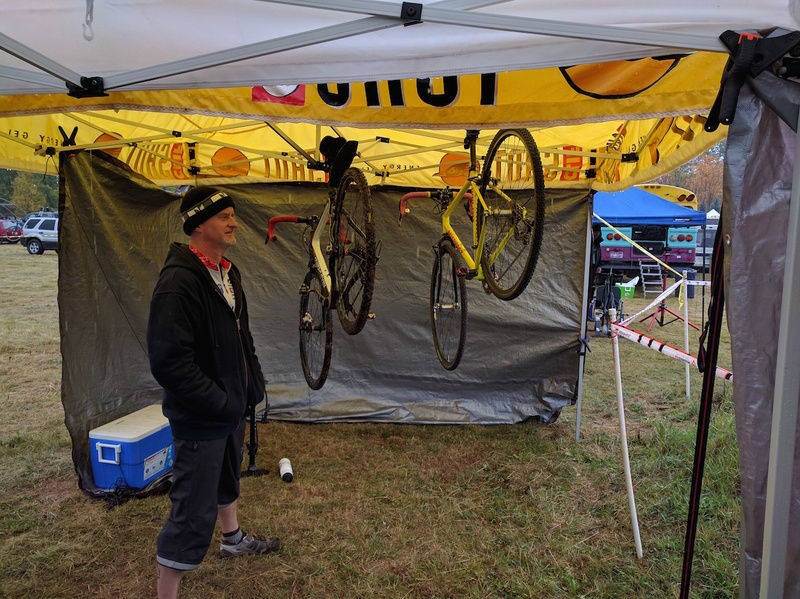 I signed up for single speed, 60+ masters, and men's cat 4 on Saturday. 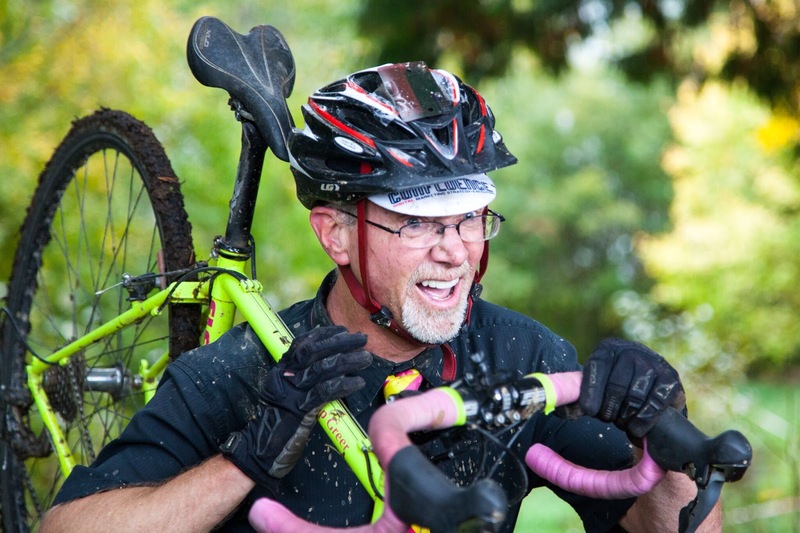 John was in 50+ masters and men's cat 4. 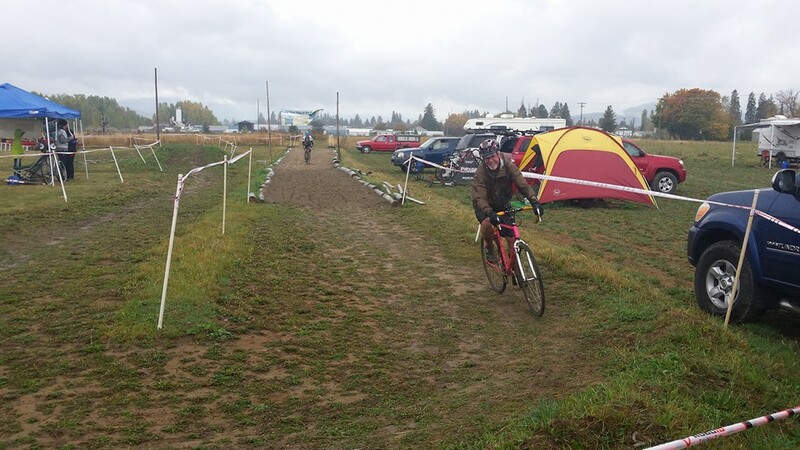 The rain finally let up about halfway through the single speed race. 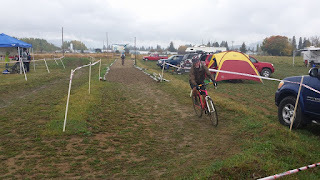 The course was slick and muddy, which means it was great although a bit treacherous in a couple of spots. AFter the rain stopped and the clouds slowly moved out the weather warmed and the course got stickier and drier. By the time John and I did the cat 4 race, the last of the day, the course was completely dry except for the descent and run up by the creek. The course was reversed and slightly rerouted for Sunday. We had one set of barriers instead of two and if you weren't too tired or too weak--like me--you could ride up what I was walking up. 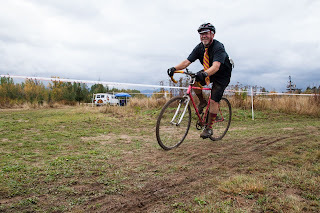 I did the single speed followed by the 60+ again. John, who was in the 50+, dropped back and rode with me. It was nice riding together. I felt bad because he was basically just doing warm up laps since I was out of gas from being out on the course so much. But it was cool of him to hang out with me as I plodded along. We crossed the finish line together and wrapped up the weekend. ...John proudly noted, "Nobody's got what we got." John can make the best of any situation. Coming out of the sand pit on the single speed. 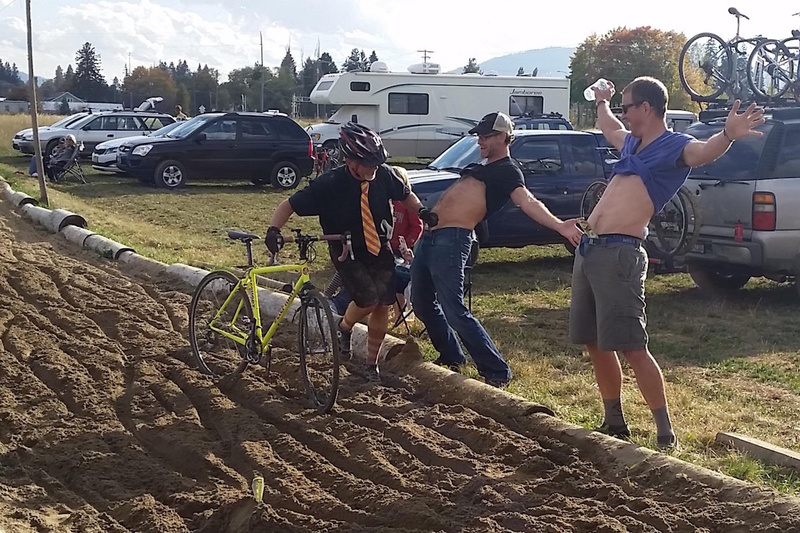 Grabbing some cash hand ups during the cat 4 race on Saturday afternoon. 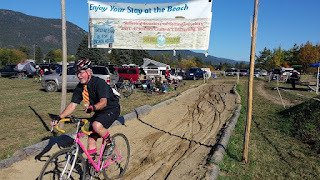 Just grabbed a dollar from the sign during the Sunday morning single speed race. 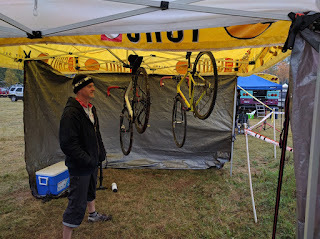 Here are a couple of photos from the first day of racing taken by Jacob Green. I don't know him but I thank him very much. 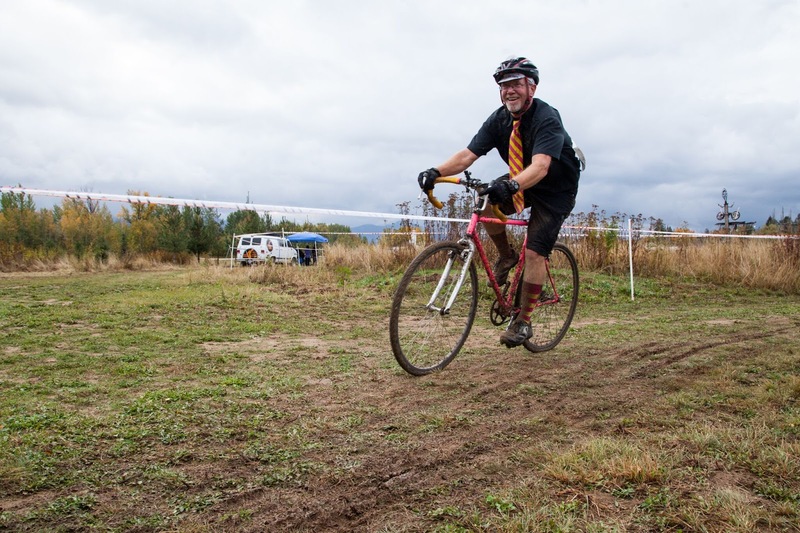 Still smiling on the single speed. Not so much after my nth time on the run up.